Cute baby deer siblings in Nara, Japan. 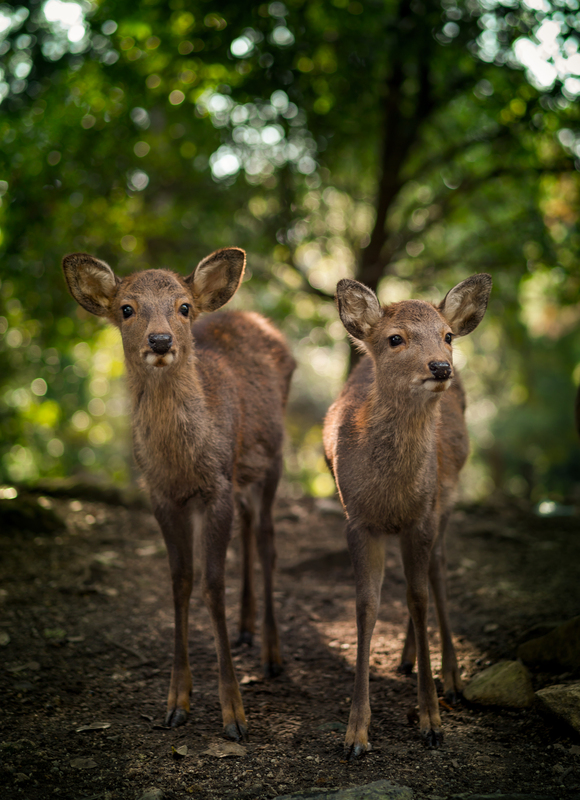 There are about 1200 semiwild deer living in Nara Park and here is a couple of the cutest ones I encountered during my time there. They are wild but raelly used to humans and especially eager for deer cookies which are widely available from small shops all around the park. Great fun and highly recommended activity when visiting Japan.